Del Cerro neighborhood is a part of the city of San Diego, California. 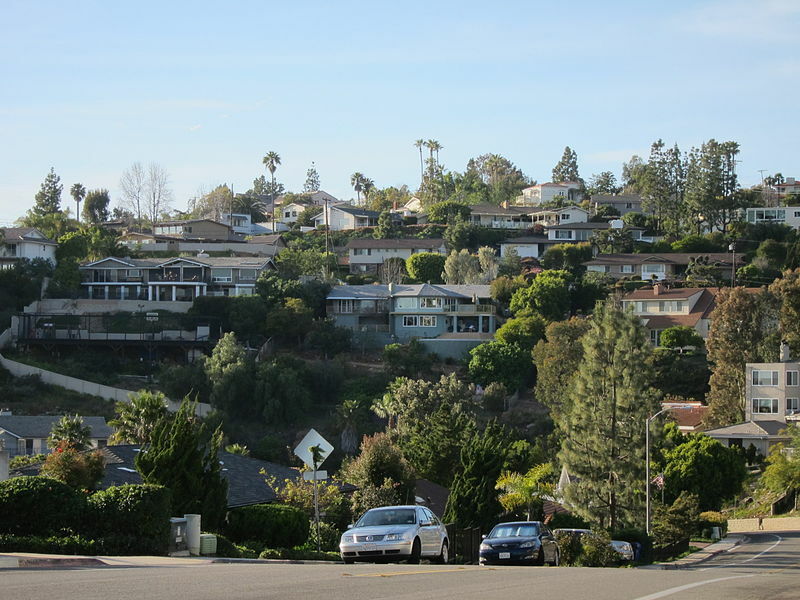 Del Cerro was developed as a suburban residential area from the 1950s through the 1970s and is a wealthy hilly neighborhood with breathtaking homes amid the hills. The communities commercial center is on Del Cerro Blvd which includes a Chevron station, liquor and deli stores, a restaurant, fitness spa and a variety of professional service businesses. Events in the neighborhood include the annual Block Party and a Fourth of July celebration hosted by the Del Cerro Park Pool. The neighborhood even includes the western edge of the beautiful Mission Trails Regional Park. Homes in Del Cerro are as individual as the neighborhoods themselves. Homes for sale range from small starter homes and fixer uppers up through sprawling historic and luxury homes. Other housing options include apartments, houses and duplexes for rent as well as town houses and condominiums for sale or lease. Whether you wish for a loft space, bachelor pad or sprawling estate style home the home of your dreams awaits you in Del Cerro. Contact friendly local real estate agents for assistance in your search today.